Who do you say Jesus is? Messiah? Lord? What about Savior or Lamb of God? There are many other attributes for Jesus that could be written, but what do all these things mean? When asked by a non-believer, can Christians fully define who Jesus is? Claimed by God in baptism, you are a precious child of God. You are one whose sins are forgiven. You are one who has received the promise of eternal life. We proclaim Jesus as the risen Christ through the love we are called to show our neighbor and by the deeds we perform addressing the needs of those whom God has placed within our midst. Who is Jesus? He is the Christ, God incarnate. Through him only are people saved. 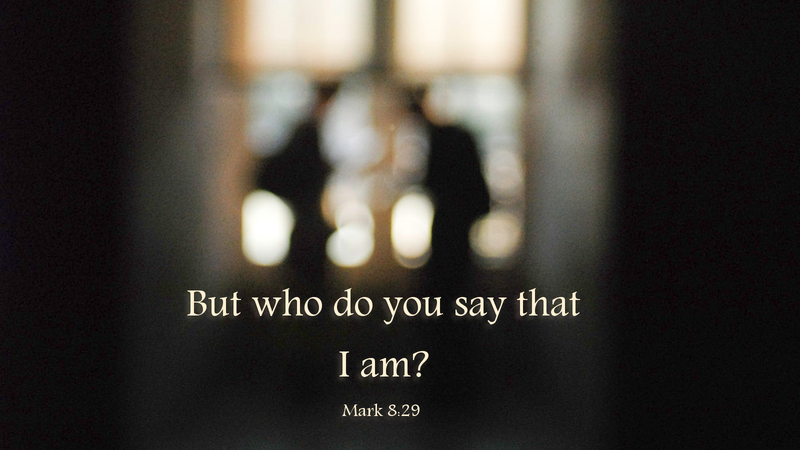 Understanding this, the question remains, “Who do you say that YOU are?” The answer to this question can only be revealed as we give thanks to God for his grace through Christ Jesus, and serve the God we cannot see by loving and serving the neighbor we can see. Prayer: Gracious God, lead us by the example of your Son, that we may be reflections of his love. In Christ we pray. Amen. This entry was posted in Faith and tagged Christian, Jesus Christ, Kingdom of God, Repentance, Resurrection, Salvation, Spirituality, Word of God. Bookmark the permalink.